Acushnet will hold a Veterans Day Ceremony, Sun., 11/11, at Pope Park, 96 Pope St. (off Main), 9:50 a.m. Event will include musical selections, opening remarks by Selectboard chairperson Michael Cioper, Ford Middle School Choral Group, flag raising, dove release, USCG heli­copter flyover, color guard with laying of memorial wreath, and closing remarks at approximately 10:30 a.m.
A night with the author of Brass Ring Memoirs. On Thursday, 11/15, 5:30 p.m. at the Acushnet Senior Community Center, 59 ½ South Main Street, join author Kelly McCarthy, CDP, NHA, BC-DEd as she shares encouraging stories using practical methodologies to help caregivers reach for their goals in Alzheimer’s and dementia care. Copies of her book will be available or bring your own and have it signed. Free, open to the public. 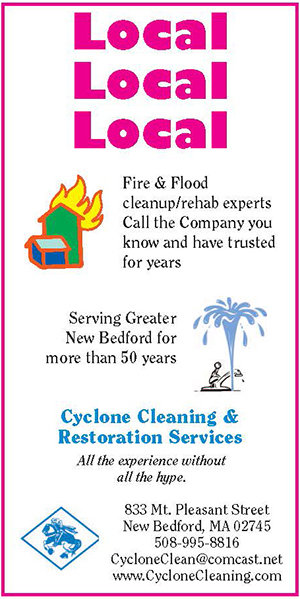 Call 508-998-0280 for info. The Buzzards Bay Coalition will welcome representatives from the town of Acushnet and members of the public on Friday, Nov. 9 at 3:30 p.m. to celebrate the opening and permanent protection of nine-acre Hamlin Cross­ing, 126 Hamlin St., part of a former farm and orchard on the Acushnet River. Located across the river from historic White’s Factory, this newest addition to the Acushnet River Reserve will contribute to the long-term vision of a “greenbelt”: a growing corridor of conservation and recreation lands along the Acushnet River. Following a short introduction and speaking remarks, Coalition staff will lead a walk through the property. Following a 2016 vote by Acushnet residents to contribute town Commu­nity Preservation funds toward the protection of Hamlin Crossing, the Coalition acquired the property and conducted an extensive cleanup, including removing dilapidated structures, abandoned cars and trash; controlling invasive plants and pruning damaged trees; and establishing a trail and a native wildflower meadow. Much of this work was completed by volunteers, and Friday’s opening will celebrate their efforts, including significant work completed by students from Tabor Academy in Marion as well as AmeriCorps Cape Cod and TerraCorps service members.